JYSK, from Denmark, is one of the most developed chain stores in the world retail industry. 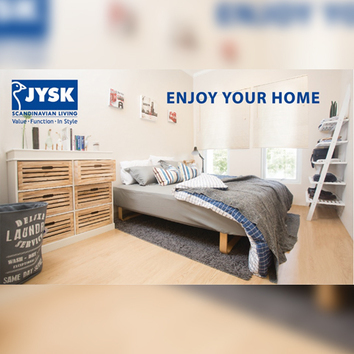 JYSK's story began in 1979, a compilation founded by the company, Lars Larsen, opened an approval shop in Aarhus with a simple idea of offering good deals. This remains the company's philosophy to this day: offering the best deals for everyone in Scandinavia Living!